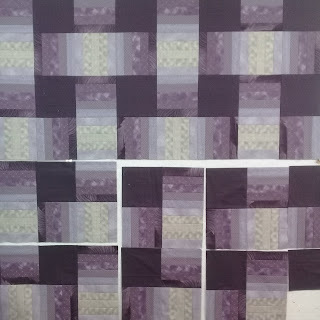 My big goal for January is to finish piecing the king sized top that I have been requested to make, using the Loosely Woven pattern, and using a mix of purple fabrics to achieve it. Surprisingly... it has been a lovely top to put together. 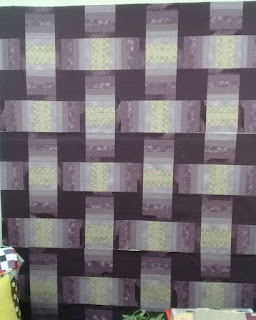 I changed the construction of the blocks as it was a stack and whack pattern, with organically spaced strips cut from squares. 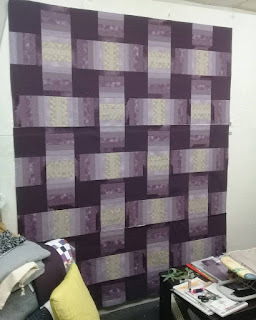 But, knowing the intended recipient, I chose to have regularly sized strips and alter the size of the blocks to suit. The blocks kept growing, until finally there was enough! 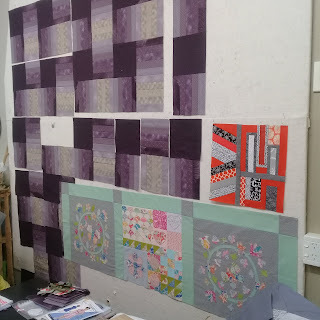 And I started sewing them into large chunks. The subtle changes in colour really do add to the illusion of woven strips. 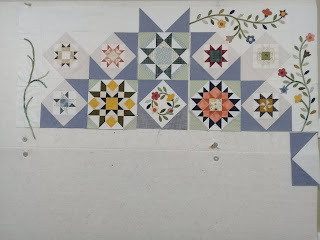 I have started putting together border strips and all going well I should meet my target by the end of the month. 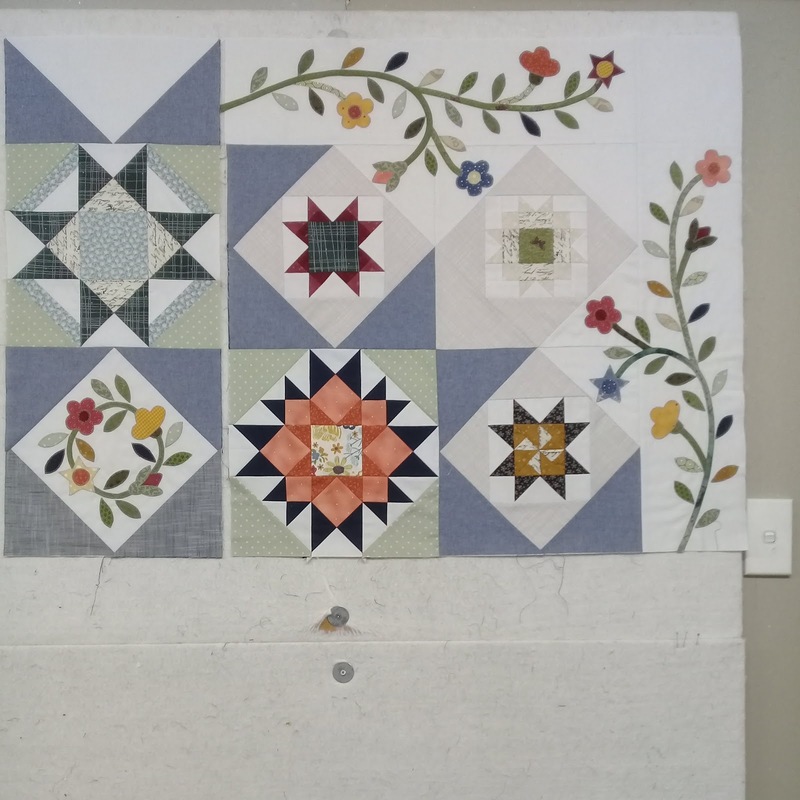 Taking advantage of my empty design wall I started placing the completed components of my Timeless Traditions BOM, to see how it was looking. And get that next little bit of sewing completed! Happy to report that it is looking Fine! 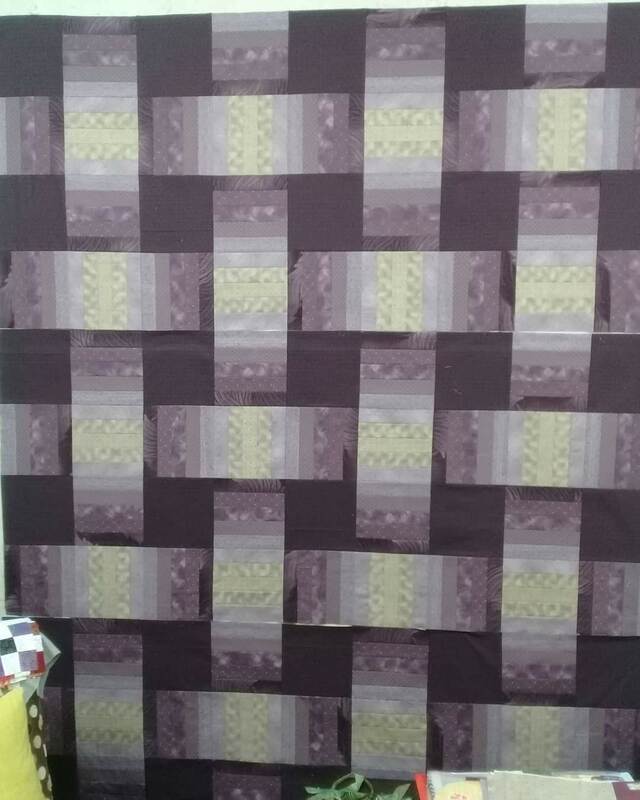 The woven strips are striking! 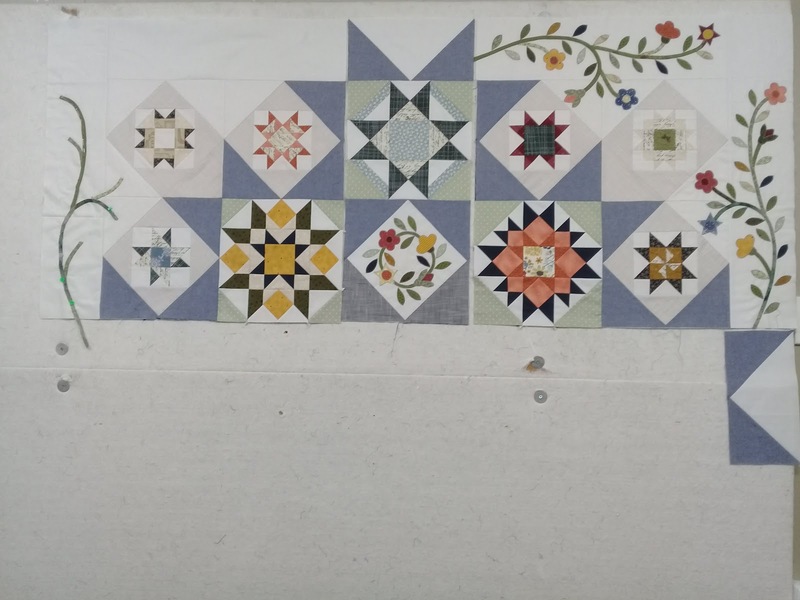 Coming along great on your Timeless Traditions BOM. 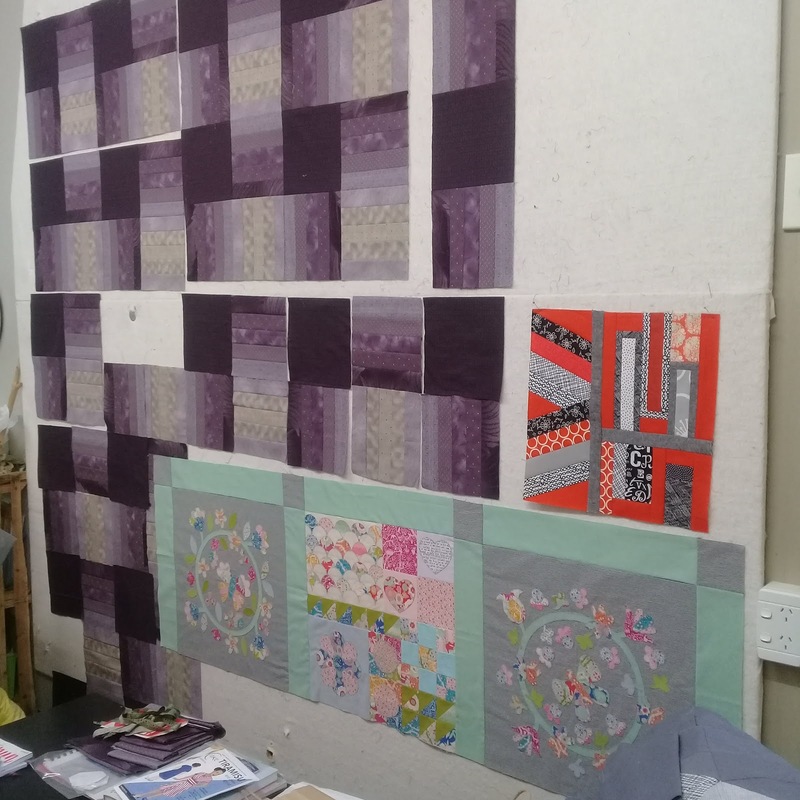 Two beautiful projects! 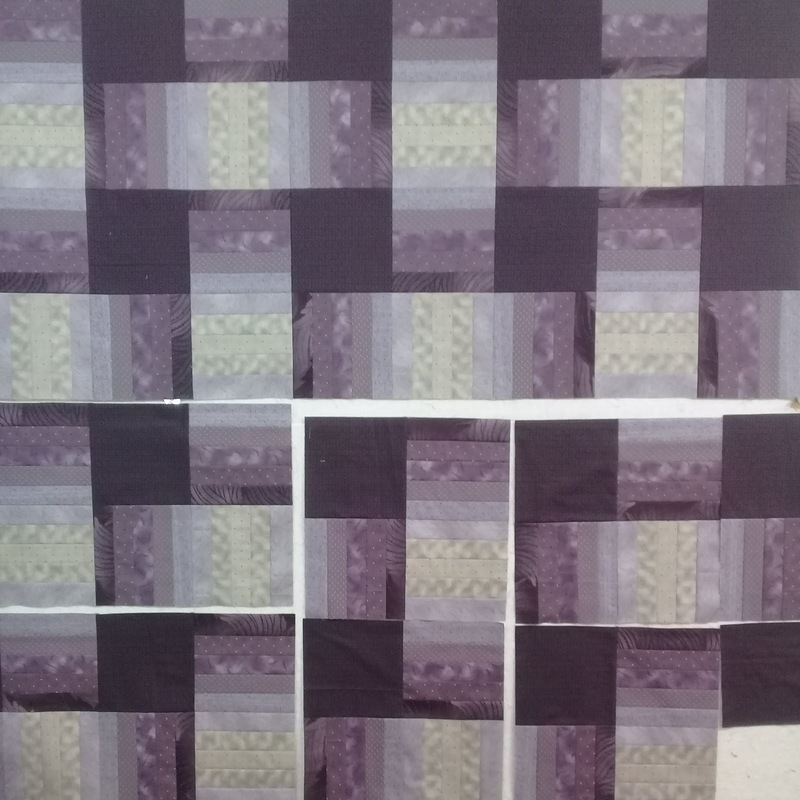 Wow, I love how the woven quilt has come together. I can see myself making one of those! The woven look is very effective, I love this idea! 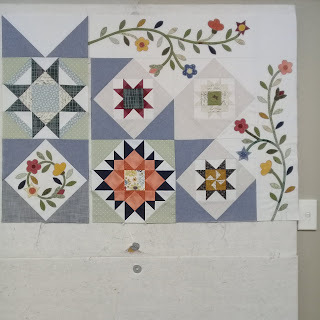 Cross Tile Quilt... Progress Is Happening!